Social networks are fond of telling you how many friends or contacts you have. That just appears to encourage “contact farming” where people try and get to the top of a list for the number of connections they have amassed. “I’ve got more friends than you,” people appear keen to say. Some business people even promote the need for you to get as many contacts as possible, citing serendipitous examples of people who met online and discovered a joint interest which led to them becoming multimillionaires, or some such fantastical notion. Others, meanwhile, suggest that it isn’t the quantity of contacts you have, but the quality of the people you are really connected with. Chasing numbers is a fruitless task, really. You may become top of the charts for your town in terms of the numbers of friends you have, but do you actually, honestly, know all of them? For some people, yes, they know everyone in their contact list, but for others their list of followers or friends is so huge, they have no chance of knowing them all. The Dunbar Number is the theoretical limit of the number of friends you can really connect with; it is 148. Essentially, if you have more than 148 followers on Twitter, or more than 148 Facebook friends, or more than 148 connections on LinkedIn, then you cannot possible know them all. That’s the theory and there is some limited evidence which supports this notion in terms of online social networks. New research, however, adds a twist to the “numbers game” on social networks. Researchers at Michigan State University looked at the notion of “social capital” and online social networking activity. Social capital is basically what we feel we get out of our social groups. Imagine you have a group of close friends, you meet regularly and you discuss how you can all improve your businesses and careers. You might feel you get a great deal out of that group. But you also have another group of people you meet regularly, perhaps parents at your child’s local school. You meet them once a week, but you feel you get less out of them than your business friends. The parental group has less social capital than the business friends group. So, the researchers at Michigan wanted to know was there any difference in the social capital depending on the strategies people followed on social networks. Some people connect with anyone, building up quantity rather than quality. Whereas others focus on sharing things with their contacts. 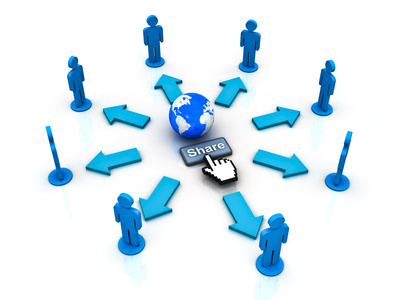 The study found that the greatest social capital was found amongst the sharers, rather than in the group who just connected with strangers. In other words, you get the most out of people on social networks who share the most with you. If you want an online strategy for your business this has a clear message – share stuff, share more stuff and share even more. The more you share, the more you will be valued. Your Guide to Using Periscope to Grow and Connect… A quick, step by step guide to using Periscope.